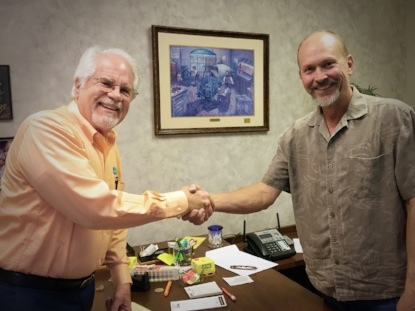 Impact Printing will be merging with long-time industry partner Colortech Direct of Houston. This partnership fortifies the foundation upon which both companies have built successful businesses to bring our clients first class products and services. Impact Printing and Colortech Direct have a unique and intertwined history. I never dreamed the future of our companies would come together as they have, but could not be more excited about the immediate next steps and envisioning what the future holds. The personal and professional relationship dates back to 1981, when I began working for Charlie at Colortech as a Press Operator. 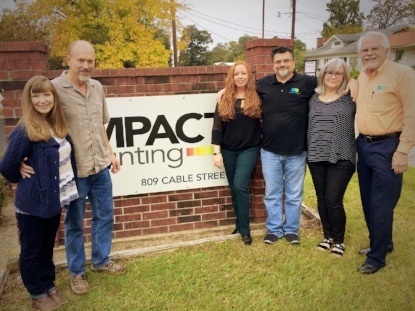 After 6 short years, I was ready to start my own business and opened Impact Printing. The two companies have worked as partners since, and friendships have flourished. 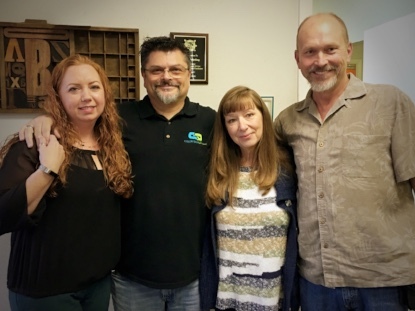 Because of the personal relationship we have with the Colortech Direct team, we know first-hand they treat their customers with a level of service and commitment that matches our own. In addition to outstanding customer service, this partnership will bring increased capabilities including vehicle graphics, marketing support, and a creative graphic design team. Expect to see changes soon as we merge these companies and please feel free to reach out with any questions or concerns that I may be able to address for you. Tom and Irene are also happy to help and will remain onboard in our Conroe office. Thank you for trusting us with your printing needs. Click on any image to be taken to a lightbox view and read more of the Impact Printing and Colortech Direct story. This is the Colortech and Impact crew together. Cameron and Stacy are highschool sweethearts, Shawna and Mike have been married for almost 18 years, and Alice and Charlie just celebrated 35 years. We work hard at making things work! This is the official deal now! Charlie and Cameron have know each other since 1981 when Cameron began working for Charlie as a Press Operator. He quickly moved up to Production Manager and in 1987, he was ready to start his own business, Impact Printing. Charlie was disappointed to see him leave but happy for him as well, and knew it was the right path for an enterprising person of exceptional character. This transition may have challenges, but it feels right. Cameron and Stacy grew this business from scratch, it is an honor to be trusted to take care of their clients and employees by a couple that have consistently lived a personal and professional life of integrity and loyalty that is difficult for most to parallel. You can still find us at our downtown Conroe location. Stop by and meet the new faces, see the changes coming to the office, and be on the lookout for future announcements and Open House information soon! Click HERE to be taken to the Colortech Direct website and see the exciting new products and services!